Our classic Orthodox cross now comes in this mid-size version. 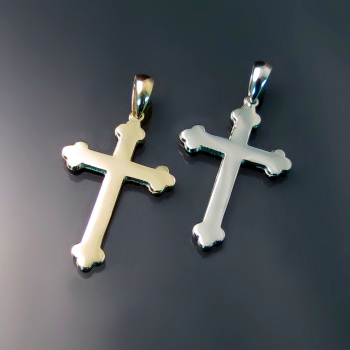 These Orthodox crosses are quality castings finished by hand and made in small batches. Inches: 1 3/16" x 5/8"